On July 18, 1928, future Little Rock Mayor Harold E. “Sonney” Henson, Jr. was born in Fayetteville to Harold E Henson Sr. and Dollie Croxdale Henson. He and his sister Sara Sue grew up in Springdale. Henson graduated from Springdale High School and was later inducted as one of the first inductees into the Springdale High School Hall of Fame where he participated in the state high school championship in football and basketball. He attended the University of Arkansas in 1945 on an athletic scholarship where he participated in three sports: golf, basketball and football, and graduated in 1949 with a degree in Business Administration. He was active in ROTC at the university and graduated as a second lieutenant in the U.S. Army. Henson served in Korea as a captain and commander during the Korean conflict. He attained the rank of major as an active member of the Army reserve post his duty in Korea. Henson’s professional career began with First National Bank of Springdale and soon moved to Little Rock where he served as Vice President at the Worthen Bank on Asher Avenue. In 1962 he was elected to the City of Little Rock Board of Directors. From January 1965 to December 1966, he served as mayor of Little Rock. In November 1966, he was unopposed in his bid for a second term on the City Board. However in October 1967, he resigned from the City Board because he was taking a position with a bank in Joplin, Missouri. 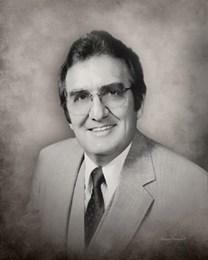 From 1966 to 1972, he served as President of Security National Bank Joplin. While there, he was a Missouri amateur championship golfer. Herbert Thomas then asked him to move to Ft. Smith to head up City National Bank (present Bank Corp South) where he served as President and CEO from 1972 to his retirement in 1993 at the age of 65. He continued his service to Bank Corp South as an active board member for several years. Among his many civic activities throughout his career were the Springdale Junior Chamber of Commerce, Sparks Regional Medical Center board of directors of Fort Smith, president and active member of the board for the Arkansas Sports Hall of Fame and Razorback Foundation, on the board for the University of Arkansas for Medical Sciences foundation, the Westark area council for Boy Scouts, the Arkansas State Chamber of Commerce, the Small Colleges of Arkansas, Leadership Fort Smith, the Community Rescue Mission and the President of the Arkansas Bankers Association to name a few. In 1995 he received the meritorious service award by the Arkansas Sports Hall of Honor for his lifelong commitment to Arkansas sports. Henson was married for 53 years to Helen Garrott Henson. He had four children, 16 grandchildren and one great-grand child. He died on August 8, 2013, and is buried in Fort Smith. Henson graduated from Springdale High School and was later inducted as one of the first inductees into the Springdale High School Hall of Fame where he participated in the state high school championship in football and basketball. He attended the University of Arkansas in 1945 on an athletic scholarship where he participated in three sports, golf, basketball and football, and graduated in 1949 with a degree in Business Administration. Henson was married for 53 years to Helen Garrott Henson. He had four children, 16 grandchildren and one great-grand child.